Cyrus Hall McCormick, known as “the Father of Agriculture” was an American inventor responsible for the production, marketing and distribution of the mechanical reaper. McCormick was born in 1809 and spent his childhood at “Walnut Grove” – his family’s 500 acre farm in Virginia. McCormick’s disposition towards invention was apparent even as a child, when in 1824, at the age of 15, he invented a lightweight cradle for harvesting grain. McCormick’s father was an inventor as well and McCormick based his harvester model on his father’s earlier work and research. The senior McCormick had tried to see his invention through but despite several attempts he could never make a model reliable enough to sell. His son took over the seemingly herculean task after his father had given up, as automation was a concept viewed with distrust and suspicion in those days. The reaping process at that time was entirely manual – reapers mowed the grain with a scythe and binders followed behind with baskets, tying up the harvested grain into vales and sending it back to the farm on horse drawn carts. This severely hampered the productive capacity of farming as cultivation was limited to the amount of manual labor available to harvest the crop. Using the working model developed by his father and the research done by others in the field, Cyrus McCormick set about to produce the mechanical reaper in 1831. He built, tested and demonstrated it within a span of 18 months. Sales were slow to pick up and for the first few years, McCormick sold just one or two reapers each year. He received a patent for his design in 1834 and another one for improvements to the original in 1845. It was difficult, however, to overcome the public’s suspicion of machinery and up until the early 1840s, McCormick sold no more than a handful. As the machine’s reputation became better known, however, orders started to pick up. McCormick had to move production from the family’s farm to a factory in New York. In 1851, McCormick’s reaper won the Gold Medal at the Crystal Palace Exhibition in London. He began to face trouble with competitors at the same time. One of his patents was rejected as a similar invention had been presented at the patent office by Obed Hussey. Another competitor was John Henry Manning, whose reaper design beat McCormick’s at the 1855 Paris Exposition and who eventually won the court case of the patent battle. His fame and success however, had been established by then. In 1847, he founded the McCormick Harvesting Machine Company in Chicago to produce, market and distribute reapers. By 1858, this company became the largest farm equipment manufacturer in the United States with assets in excess of $1 million. This was also the year that he was married. His factory was destroyed in the Chicago Fire of 1871 but McCormick rebuilt it with increased capacity and also began to expand his business abroad, even in places as far off as Russia and New Zealand. 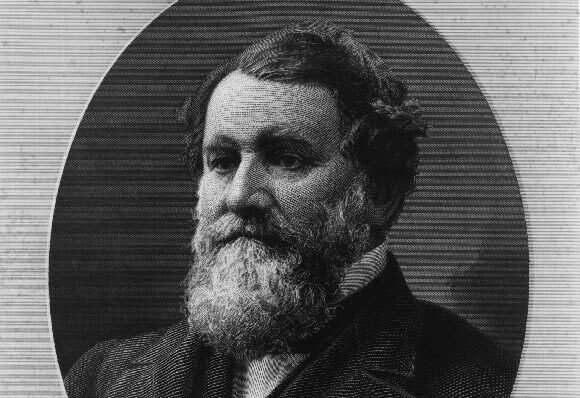 Cyrus McCormick died in 1884 and the company was handed over to his firstborn son, Cyrus Jr. His contribution to the advancement and mechanization of agriculture is unparalleled. He was elected as a member of the French Academy of Sciences. Other honors include a statue of him at Washington and Lee University campus, the town of McCormick, South Carolina being named in his honor and a U.S. Postage stamp to commemorate his achievements.